Coming to perfection in so short a while, he achieved long life. Kapidan Ndue Gjon Marku (Gjomarkaj) was born in Orosh, Mirdite on September 29, 1914 adding joy to his parents, Kapidan Gjon Markagjoni and Mrika and older brother Mark. Kapidan Gjon ensure that all of his sons would attend primary school. Ndue completed his primary and secondary education under Franciscan and Jesuit Catholic schools in the ancient city of Shkoder in 1934. At that time, the Minister of Education of the government of King Zog was Dr. Mirash Ivanaj. Veiled behind the world of Western civilization and culture books, young Ndue left Albania in 1937 for higher studies and along with his brother Llesh and went to the University of Vienna in Austria. After several years they returned to Albania, and later went to the University of Florence, Italy, to pursue higher studies in jurisprudence, never for a moment losing his connection to his beloved home and friends, whom he loved and respected. They returned to Albania in 1943. Student life, new friends and companions made it easy to expand their circle of acquaintances. As some contemporaries still residing in Shkodra and Orosh remember today, the family had the honor, fate, privilege and pleasure to attend many events; social and patriotic, religious and cultural, famous in the city of Shkodra and other cities, attended by princes, rulers of the city, senior Catholic clergy, consuls and foreign travelers, who often came to Albania and in particular in the North Region. During that period, all regions of the North and in diplomatic and social circles of the Albanian community at home of the time, knew the highly rated figures of Kapidan Gjon Markagjoni and his sons Dr. Mark Gjon Marku (Gjomarkaj) (Interior Minister) and Llesh Gjon Marku (Gjomarkaj), who were always very active and taken with politics, but as Ndue himself has said many times, he took more pleasure in the privacy of family life. Father and son, both sensed the coming of the raging communist tempest that had caused such havoc in Eastern Europe, especially in Russia. They began preparations to confront communism by awakening the national conscience of the Albanian nationalist forces. Communism was an atheist ideology of destruction without a homeland, while the nationalists were natives, living on their ancestral lands, who felt duty bound to protect their territory, as they did generations after generations. This time period demanded more than ever that the sons of the “eagle” demonstrate their patriotism as they safeguarded the values handed down to them by their forebearers; Albanian dignity, religious freedom, pluralism of thoughts, economic prosperity, and the spiritual, economic, and political relations established with Western Europe. 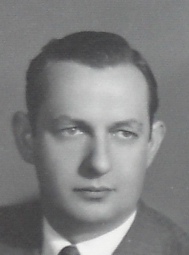 As a means of consolidating politics Kapidan Gjon, in the spring of 1944, established the “National Group Indipendent” while his son Dr. Mark found support for his own initiative in forming the “League of Shkodra” by gathering around him all the leading anti-communist exponents who were aligned with the well known nationalist organizations “Legality”, “National Front” and “National Group Indipendent”. Not surprisingly, Ndue began to engage in politics immediately after discovering that the so called partisan forces were approaching his beloved birthplace, Mirdita. He informed his brother Mark in Tirana that the province of Mirdita and the whole North of Albania was under attack from the “red beast”, which unfortunately consisted of Albanians by name and blood. Among other things Ndue requested that a clarion-call be released to establish a resistance from determined anti-communist volunteers. Immediately he received an encouraging and positive response from his brother, Dr. Mark who was much concerned about the fragile state of Mirdita. According to Kapidan Ndue and as written by the scholar Idriz Lamaj, Dr. Mark wrote, “Dearest Ndue, today begins a new twist in the history of our household in Mirdita and all of Albania. Bring together as many volunteers and begin the resistance against the Communist brigades. We have no other alternative.” (Lidriz Lamaj, Ibid, 102). While Ndue was organizing the political and military forces of the Albanian nationalists, it gave him the opportunity to meet with the upper echelon of the Albanian nationalists groups such as; “Legaliteti” and “Ballit Kombetar” who, although suffered losses during their skirmishes against the communists, never surrendered. These Albanian nationalist forces had reached Northern Albania. Among them was the patriot Mit’hat Frasher, known as the Servant of Ethnic Albania (the son of the patriot of the Albanian Renaissance Abdyl Frasheri) the principle leader of Balli Kombetar. Abaz Kupi of “Legaliteti” had also arrived at the house of Gjon Fushes in Bulger, Mirdita. Mit’hat Frasher, accompanied by his fighters, remained in Mirdita and left for St. Paul where Ndue Gjomarkaj awaited them. They spent the night there and the following morning Ndue, with his most trusted men, escorted them to Shkodra. It is imperative to state that Kapidan Ndue always had a particular respect for the patriot Mit’hat Frasheri. His admiration for Frasheri’s patriotic and intellectual endeavors would lead Ndue to say, “He was a man with great national prestige, who descended from a family of great patriotic merits.” Ndue would have further encounters and fruitful joint cooperation with other nationalist leaders in the war against the communists in Albania, Western Europe, and the United States. The events during this period developed with extreme acceleration. However, as always, the head of the anti-communist movement remained in Northern Albania with its headquarters in Mirdita. On November 26, 1944, Kapidan Mark, with his entire forces undeterred, left Shkodra and headed towards the mountains in the North where Ndue, with his comrades, had been fighting undefeated in the rain and snow for five months without being overtaken by the partisan brigades, led by Mehmet Shehu, who was under the direct command of Enver Hoxha. The forces of the communist brigades that conquered the regions of Luma and Lura were large in numbers and well armed as they continued marching near the region of Mirdita. The Albanian nationalists forces under the command of Ndue Gjomarkaj found themselves in a precarious situation, as they were completely encircled. The communists attacked them from three directions simultaneously without giving them the opportunity to better organize their defensive stand. Thus the only option was to secure a stronghold of resistance at St. Paul. As a result, fierce fighting between the communists and the Albanian nationalists began. The former seeking to conquer the proud and glorious history of Mirdite through brutal force, while the latter only wanting to defend the democratic values and freedoms of the populace from enslavement by the internationalist proletariat who wanted a world without God. This was the “Black Night” that engulfed all of Albania on November 29, 1944. Despite great resistance for three days, seeing the huge losses in the ranks of nationalist forces, Ndue ordered a retreat in Shkodra, one of the major center of anti-communist resistance. In Shkodra, Kapidan Gjon, Dr. Marku and Ndue met and developed a new plan which Kapidan Marku had begun to form, thus setting the logic of his plan; that his father Kapidan Gjon Markagjoni and his second brother Kapidan Ndue must leave the homeland so that the Kapidan Household would not become extinct due to the inevitable; continuing military clashes with the communists. Although a very painful reality for the entire Markagjoni family, it was the only viable solution carefully thought out by Kapidan Mark. Decades later, the memory of this painful event was still fresh to my father, Kapidan Ndue Gjon Marku (Gjomarkaj), as he discusses that moment of separation from his much beloved brothers, Mark and Llesh and other family members. It was precisely in Malesia e Madhe [The Great Highlands] at the Catholic Church of Kastrat, where Ndue would embrace his brother, Mark, for the last time. Immediately following, father and son leave Kastrat and go to Tuz, Kolasin, Visegrad, Sarajevo, Zagreb, Vienna, Linz and Innsbruck, during the harsh winter and under frequent bombings by Allied forces. Once in Innsbruck they rested in a residence for several days and then by car traveled to Italy, passing the “Passo di Resi” near the Swiss border. 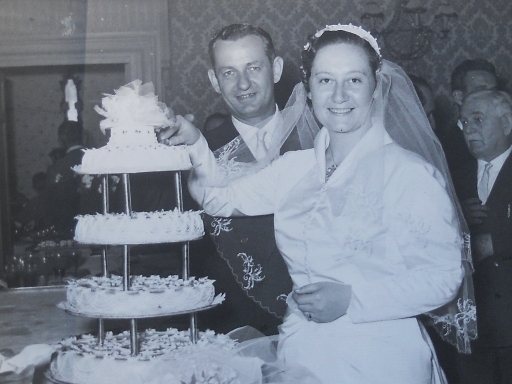 For five months they stayed in Merano and in August 1945 headed to Rome, which would be their final destination. As soon as Kapidan Ndue reached the West (Italy) with his father, they contemplated on uniting the Albanian nationalists and anticommunist forces and thus launched the foundation for the creation of a new and reliable political organization that would counter the red regime (communist) of Tirana, which was plunging the people into sheer misery. The fruit of these endeavors was the founding of the political party called, “Bloku Kombetar Indipendent” (The National Independent Bloc) in 1946. Bloku Kombetar Indipendent enjoyed longevity as it continued to function with dignity, honor, and decency until the toppling of communism in Albania on December 13, 1990. During 1948, in cooperation with the Anglo-American allies, Kapidan Ndue was given the opportunity to send volunteers to overthrow the communist government in Albania. In this manner Komitetin Kombetar “Shqipnia e Lire,” [The National Committee “Free Albania”] was founded, with many members of the Bloc. The Bloc took the first initiatives to safeguard the good-will endeavors for uniting all the Albanian anti-communist forces in exile, which were split into two; members of the Komitetin Kombetar “Shqipnia e Lire” and non-members. The main purpose of this initiative was to bring these factions together and thus create a united front with a clearer and more harmonized agenda against communism, which would ultimately better serve the needs of the fatherland. However, the path towards cooperation became more difficult as polemics became obstacles to the organizers from Mirdita. 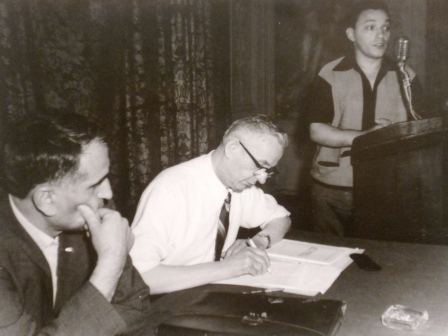 The efforts of Kapidan Ndue encounterd another obstacle, to have his first Committee be accepted by representatives of the organization “National Front”, where he oversaw at the time all positions of the organizations. Intervention, energetic diplomacy and America (where the U.S. representative insisted that Kapidani be accepted without conditions), made it possible to solve this problem and so the Mirdita Kapidani became one of the leaders of the Committee, thanks to sound western culture, telescopic vision to future, the origin of the family name, which was very well known at that point, the military fight against communism, etc. Kapidan Ndue had important meetings in Italy with senior Italian, such as the Italian Navy Admiral Mr. Talarigo and Anglo-American mission and senior representatives of the Italian Foreign Ministry. 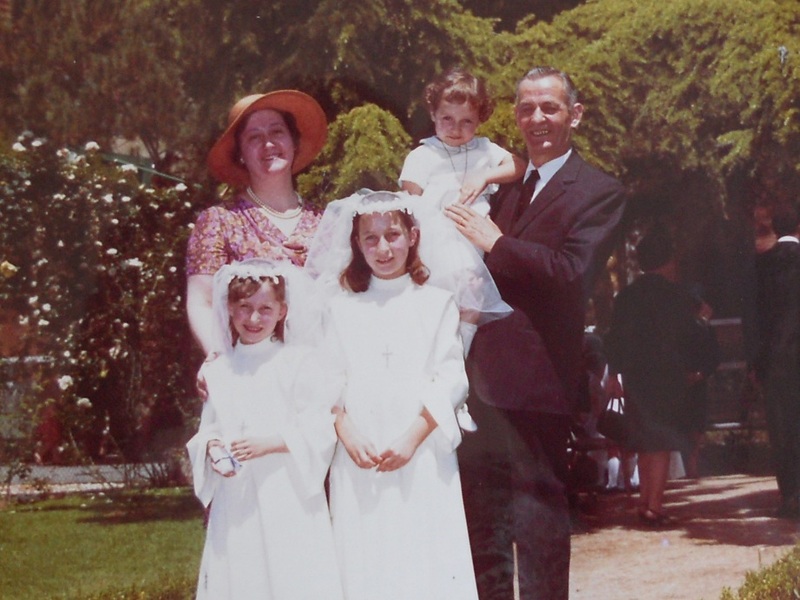 In 1957 Ndue began a new family after marrying Maria Teresa Agostini in Rome. She was a graduate of French and English from the Universita’ Internazionale, in Rome. The new couple rejoiced with the birth of three daughters Maria Cristina, Bianca Maria, Alessandra and one son, Gjon, who was named after his grandfather (Kapidan Gjon Markagjoni). In 1971, after the death of Maria Teresa’s parents and the death of Kapidan Gjon Markagjoni in 1966, the family emigrated to the U.S.A. In New York, in 1977, Ndue lost his beloved wife, our dear mother, to a brief illness, leaving him widowed with four young children. He would remain a widower until his death in 2011. 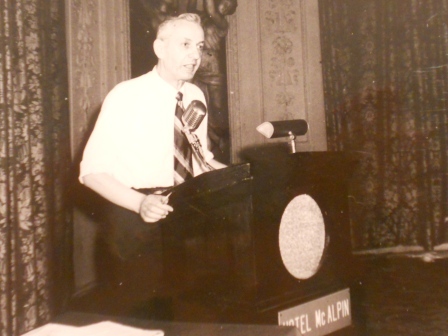 Because of his title as Kapidan of Mirdita a new phase of anti-communist movement began, which broadened its activities and respect for his contribution to increase even more when elected Chairman of the Bloc. He went on to publish articles as official bodies of the Bloc newspapers “L’Albanie Libre” and “The Messenger of Merguemit”, which at that time were published in New York and Rome. The family maintained very good relations with the Albanian Catholic clergy, a tradition inherited from the ancestors, generation after generation, and for centuries after centuries in Mirdita. Back in Italy he consistently maintained close ties with the anti-communist patriots. During these years he dealt with correcting some wrong interpretations that were made at different times on the work of Father Shtjefen Kryeziu Gjeçovi entitled “Kanun of Lek Dukagjini”, which were expected to go into publication shortly. The fruit of his serious research was also published in 2002 in New York in a book titled “Mirdita Dera e Gjomarkut Kanuni”. In 1994 my father returned to his homeland after 50 years. He was reunited one last time with one of his surviving brothers Dede and sisters Marta and Bardha. He had finally come full circle! My father, Ndue Gjomarkaj, passed away peacefully, surrounded by family and friends in New York on January 4, 2011. His funeral was attended by many Albanians living in the United States as well as family and friends. He is buried with my mother in Flushing, NY and I know that at last they are both at peace together. 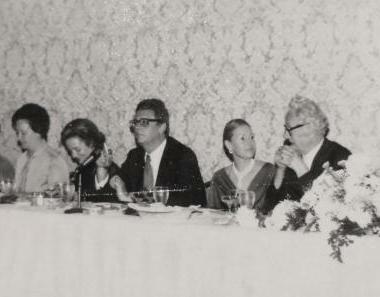 This photo was taken at an Albanian dinner at the Waldorf Astoria, NYC c.1975. My mother (far left) sitting next to Queen Geraldine of Albania followed by her son, then Prince Leka I of Albania, his wife Susan-Cullen Ward and Albanian Nationalist Ago Agaj.